President Museveni pays a visit to the late Hailat Magumba’s home last week. Courtesy photo. Twelve people have so far expressed interest in vying for the Iganga District Woman MP seat. 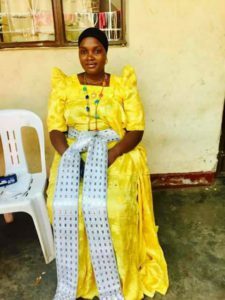 The seat fell vacant following the death of Kaudha Grace Hailat Magumba who succumbed to a pregnancy-related complication a fortnight ago. Those warming up for the seat include Babirye Asha Magumba sister to the to the late Hilat magumba, Nuru Awuye (new entrant), Asinde Suubi Brenda aka Maama Maadi who emerged runner-up in the February 2016 elections, Mercy Walukamba, Olivia Kwagala Kabaale aka Muliro Muleege and Mariam Nantale of the Forum for Democratic Change (FDC). Others are former Afrigo Band maestro Racheal Magoola of the Obangaina fame who contested in the National Resistance Movement (NRM) flag-bearer race in the 2016 general election but lost to Hailat Magumba, Sauba Kauma Ndagire (new entrant), Shamina Mutesi, Neema Bagalaliwo and Aziiza Kakerewe and Hellen Mary Musubika. President Museveni, during a visit to the late Hailat Magumba’s home, urged Iganga residents to find a suitable replacement for the late NRM MP, arguing that the residents need to vote for someone who will continue with the programmes initiated by the deceased Member of Parliament.